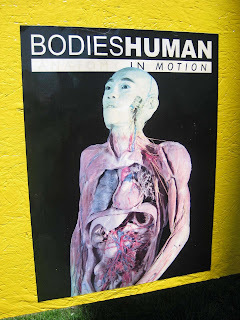 After hitting the neighborhood yard sales yesterday, Dad, Tim and I had to lunch at Five Guys and then went over to the Bodies exhibit in Louisville. It was actually rather nauseating! Interesting but gross. I thought I'd enjoy it a little more and it definitely didn't take the hour an a half they said it would take to see everything. I think we were done in 20 minutes max. 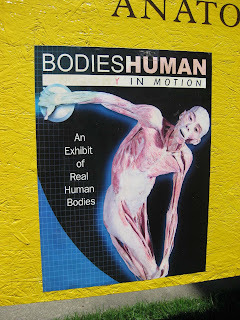 I really did enjoy the digestive system though. I got to see exactly where everything is and my missing gall bladder! I passed it up in Vegas but always wished I'd seen it! So, now I can say I have!